Winners must email Sue at sue@suebleiweiss.com with their full name and mailing address by 6/14/11 in order to claim their prize. 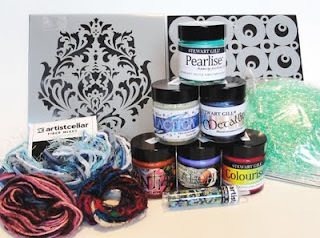 Nearly $75.00 worth of Mixed Media goodies including paint, stencils and fibers! 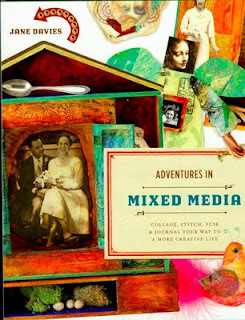 A copy of her new book Adventures in Mixed Media! 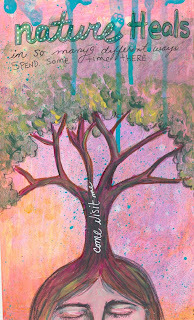 A copy of her new DVD from art journaling to art! Jane LaFazio here. I love birds. They're one of the few things I don't draw from life. I usually draw from photos, or in the case of these guys, most were drawn from little artificial birds from a craft store. They make a great drawing subject and they don't fly away! I can envision this piece with embroidery thread and beads!! Now to figure out how to get this onto fabric....without it fading out in the process... Ideas??? Hello! 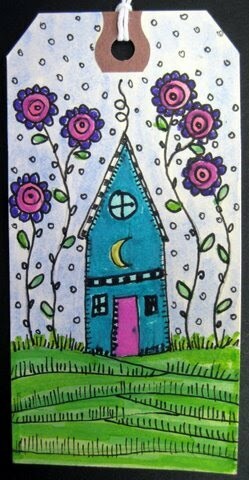 This is Carla Sonheim... just wanted to let you Sketchbook Challengelings know that I have a little coloring tutorial up at my Snowball Journals blog. See how to make a pink poodle!! Leslie here. In preparation for filming a surface design workshop dvd for Interweave I needed to create samples of the various techniques I would be demonstrating on-camera. 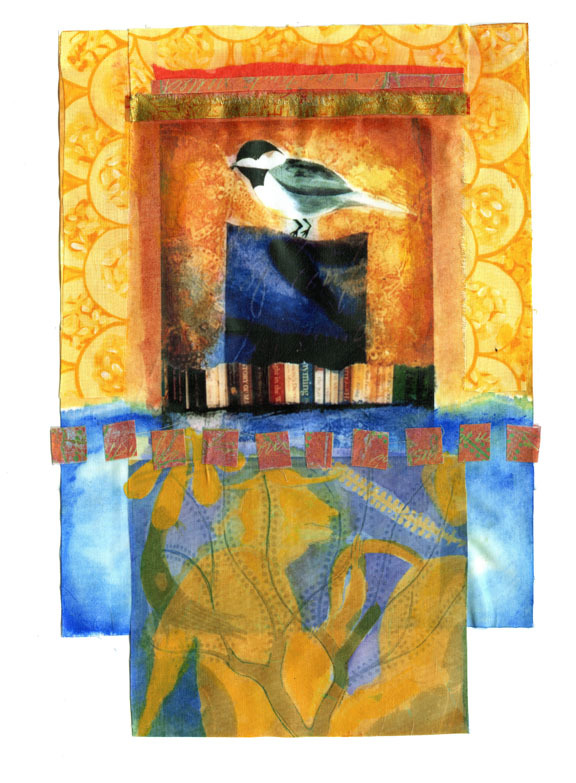 One of my workshop segments is showing how one tool can be used in a variety of ways. The following images are using using a gelatin plate to create monoprints, and the same tool is subsequently used as a stamp. 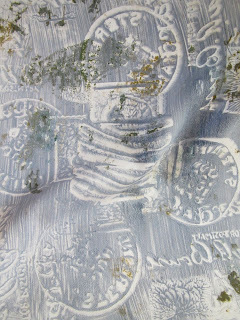 The great thing about using a gelatin plate is that it can provide countless ways to incorporate more texture on the surface of cloth or paper. the plate has some unique qualities to offer! It can be wiped clean and repeatedly used, even refrigerated between uses for a week or so before it is discarded. In a pan, place the cold water and add the gelatin. Mix until it is well-blended with water. At this point it will be very thick. Gradually add the hot water and continue stirring until the gelatin is dissolved. Try to remove any bubbles on the surface. Place in a refrigerator for a minimum of 30 minutes. The gelatin sets up quickly. Carefully remove from the pan. If you have a disposable pan, such as the one in the image, you will need to avoid working on the bottom side of the gelatin because it will pick up the marks of the pan. other found objects make great marks on the plate! and smoothed into place with my hands. important to handle with care. in this image, the organza is being lifted from the print surface. You can see my studio cabinet in the background! here is the organza as it appears with paper in the background. 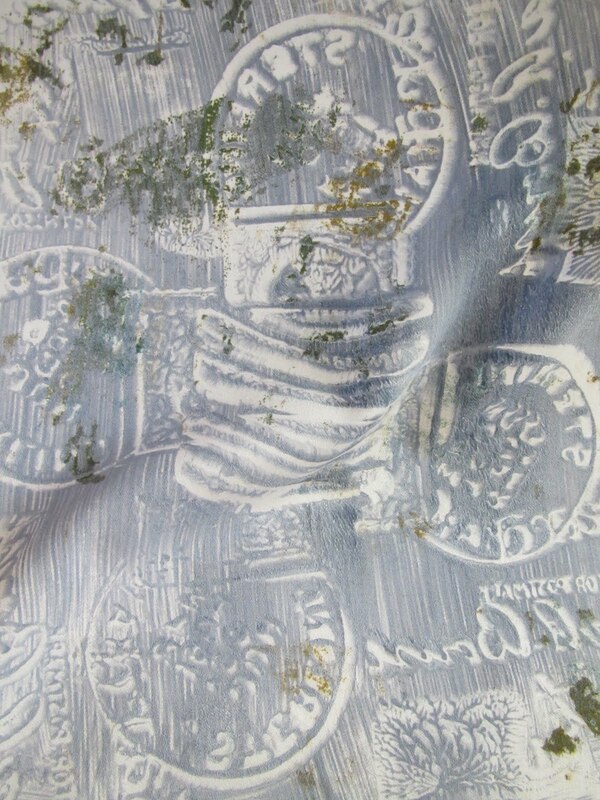 Think how cool this could be layered over another piece of cloth or paper! 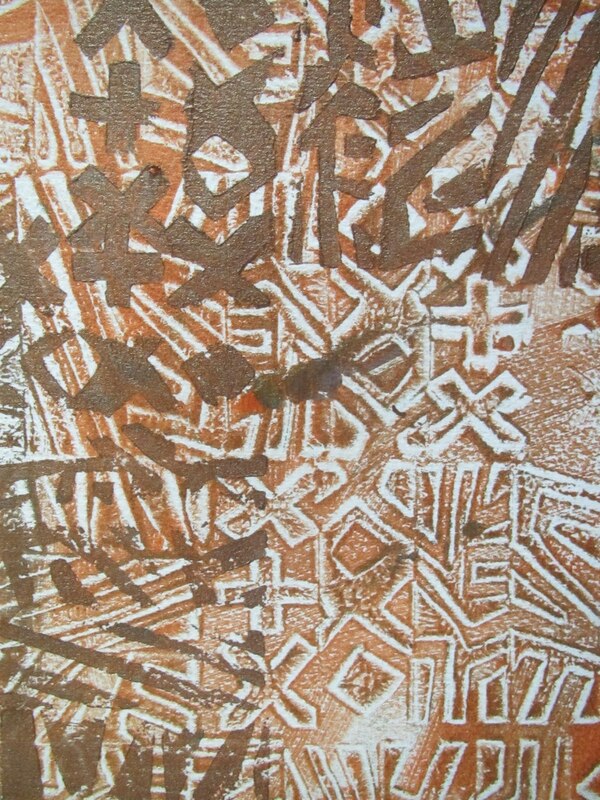 and using the same stamp over this monoprint, create the "positive" mark. slate blue and white paint. Any type of acrylic paint will work really well. Once the marks are made, I will place my cloth on the surface. and "peel" the cloth back from the plate surface. Now my ugly duckling cloth has some potential! The possibilities are endless with any type of cloth or paper. 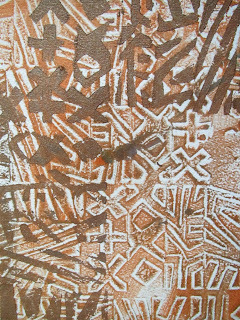 Hand-carved eraser stamps used first on the gelatin plate as a monoprint, then as stamp (printed on paper). 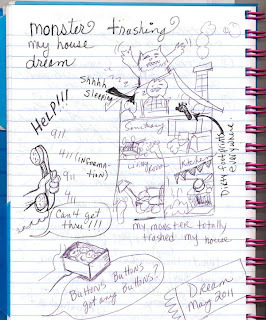 Hi Sketchbookers, Diana here, reporting in from my brand new shiny Typepad Blog! I hope you will come and visit me and join in the fun. 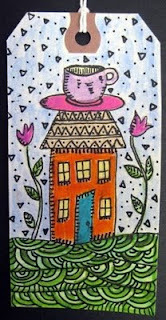 These little crayon and watercolor drawings were my salvation whilst building my new blog. 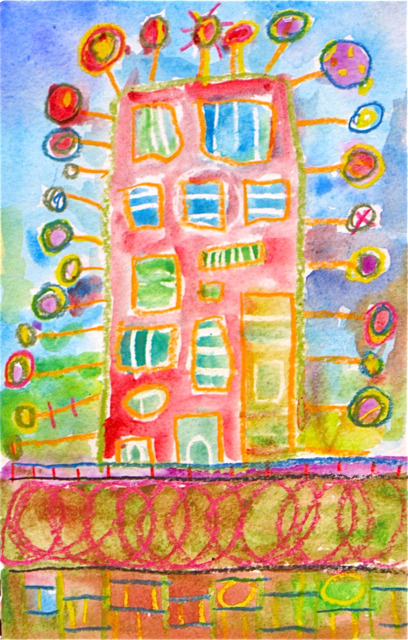 There is something just so magical about the crayon and watercolor. It really makes me feel and make art like a kid. The Caran d'Ache Neocolor 1 crayons are wax just like Crayolas but creamier. 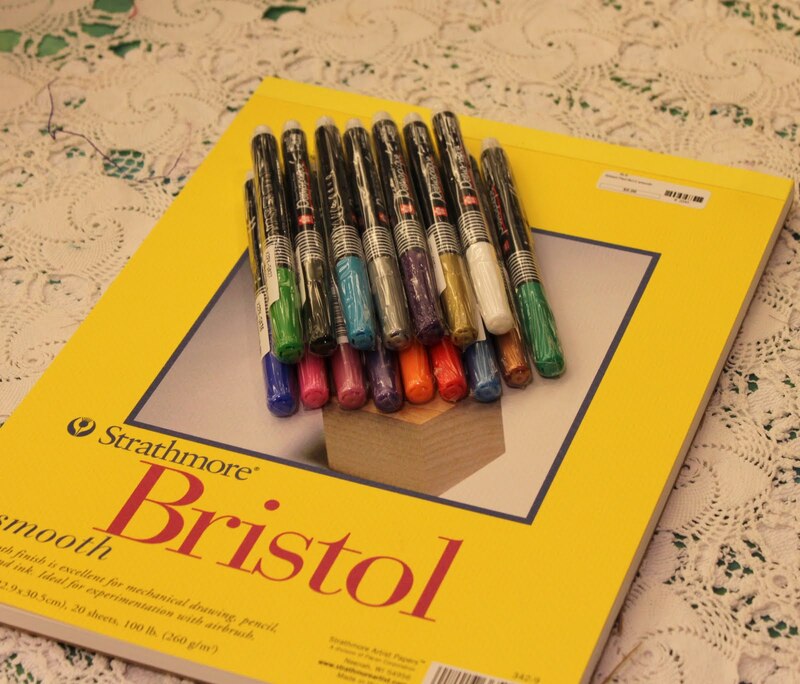 I am now a crayon snob :). So, you know about this, right? 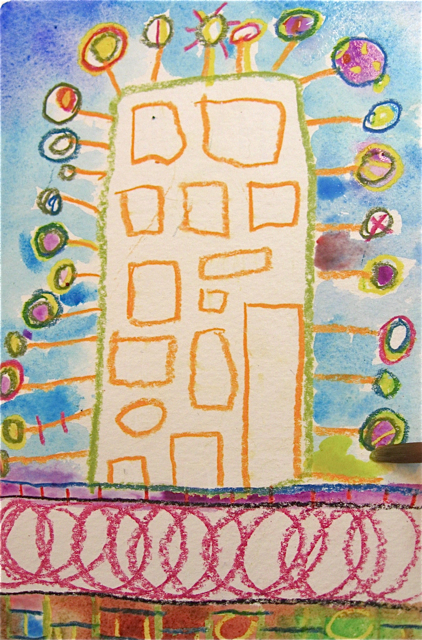 You make a crayon drawing and then go into it with the watercolors and the crayon marks act as a resist to the watercolor. 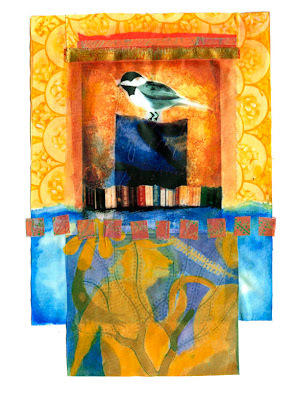 I'm using my Strathmore Visual Journaling watercolor here. Such great paper, it holds the color very well. 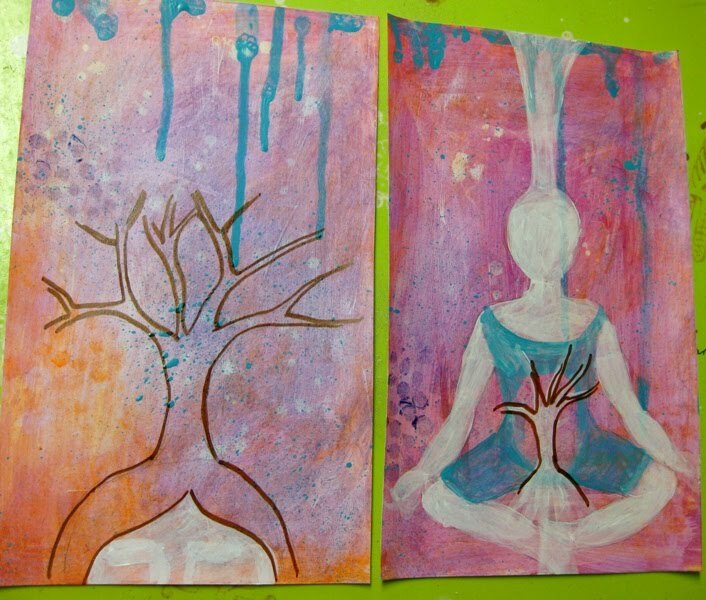 I squirt water onto my watercolors and let them sit a while. These are such fun to do. 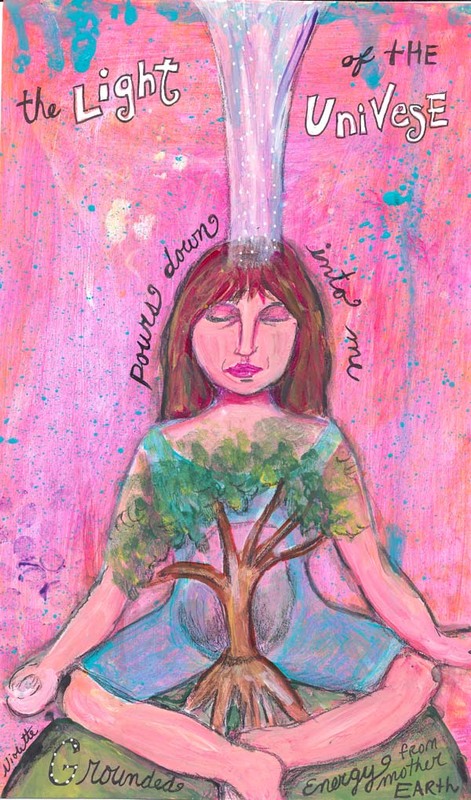 I used my Sakura watercolor kit with the crayons. Everything was just sitting there waiting for me when I was ready to take a break from HTML hell! 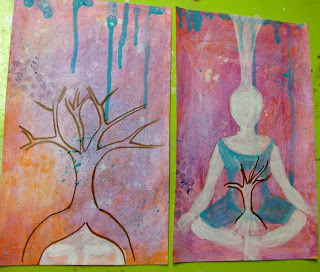 If you don't have fancy-pants art supplies, use your Crayolas and a cheap-o paint set. Here's a video link to my YouTube video, Juicy Watercolors to get you started. Enjoy! and come visit me. 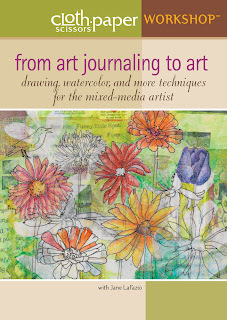 Cloth Paper Scissors Magazine has just put out a free e-book of four digital art tutorials, one of which is mine! I'm thrilled to pieces to be included in this e-publication, and it is FREE! You can download it HERE. 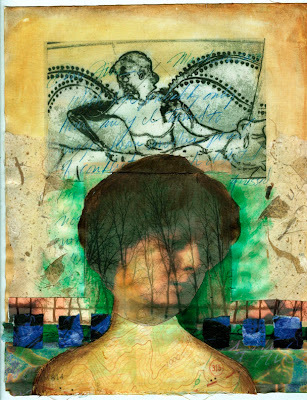 In my tutorial I discuss how to alter images in Photoshop and print them out on fabric to use in fabric/paper collage. Here are a few pieces in progress using these techniques. The finished pieces are in the e-book. I want to show you in a little more detail how I got some of these layered images in Photoshop. Go to my blog to see my demonstration. I hope you take advantage of this free e-book. The other authors are Marie Otero, Chrysti Hydeck, and Kathyanne White. 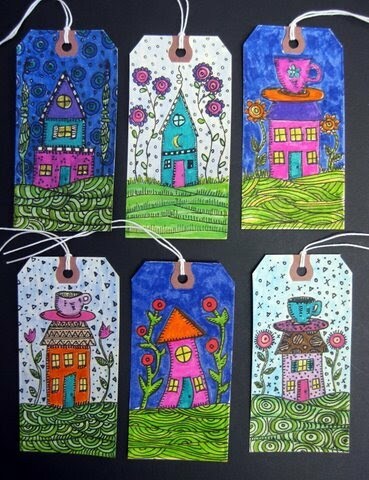 Jamie Fingal checking in with "Can't Resist Making Houses" on tags. I started these while flying on an airplane, and they were fun to just draw with a pencil. 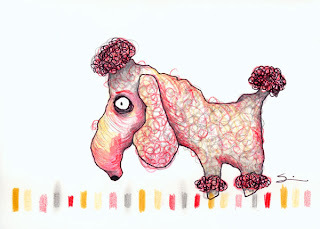 Some were painted with watercolors and some were colored in with Crayola felt tip markers. The beauty of this project, is that it is portable. Anywhere, anytime, draw, paint, coloring and outlines! Tags are 2-1/2" wide by 4-3/4" high and you can buy them at your local office supply store. Having an online group, like the delightful friends participating in Sketchbook Challenge, is a serious morale booster. But it's also nice to have a real time group to share ideas, challenges and triumphs. I've started a group at my library and we've been meeting for a couple of months now. 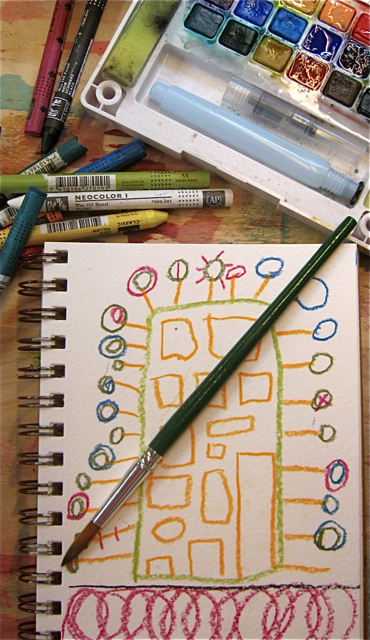 It's easy to start a sketchbook/art journal group of your own. Here are some pointers. 1. Set a regular time to meet. We meet the 1st and 3rd Thursday nights. 2. Find out what the group wants and what they would find inspirational, and structure your group around their ideas. Check in every once in awhile to see if it's still working and to get ideas from new members. 3. Bring prompts. This is very easy to do. I have a few ideas written out ahead of time and bring one key idea to share. Sketchers can try it or do their own thing instead. These thumbnails are from an exercise called "Through a Viewfinder," where we thumbed through magazines, isolated a square and drew what fell within it. 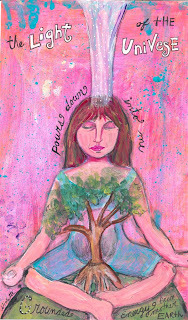 Look online for drawing techniques or cull them from books like Drawing Lab by Carla Sonheim and Water, Paper Paint by Heather Jones. Your library has LOTS of great books with art ideas--so visit a librarian today! 4. Try new supplies. There are many el cheapo art materials you can share to try something new. Last night I brough some boxes of oil pastels ($5.99 at Michaels but use your 40% off coupon!) and we tested those out. They were way outside the comfort zone for many people and what better for a group experiment? 5. Remember that your sketchbook is for PLAY and relax! Nothing particularly fabulous comes out of our sketchbook sessions, but we gain IDEAS for further exploration when we can spend more time creating. 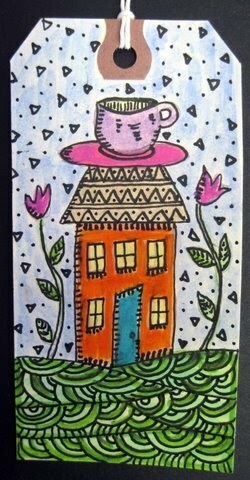 May Theme- Can't Resist This!